For such a busy place, Brighton & Hove still has issues with loneliness. The city is UK’s leading location for people googling the word ‘lonely’. As a society, we not only face isolation, but disconnection from the natural world or our own sense of fun. 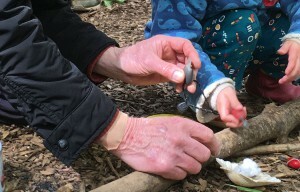 It was failings like these which prompted local community project organisers Unite The Beat to try and make a difference. 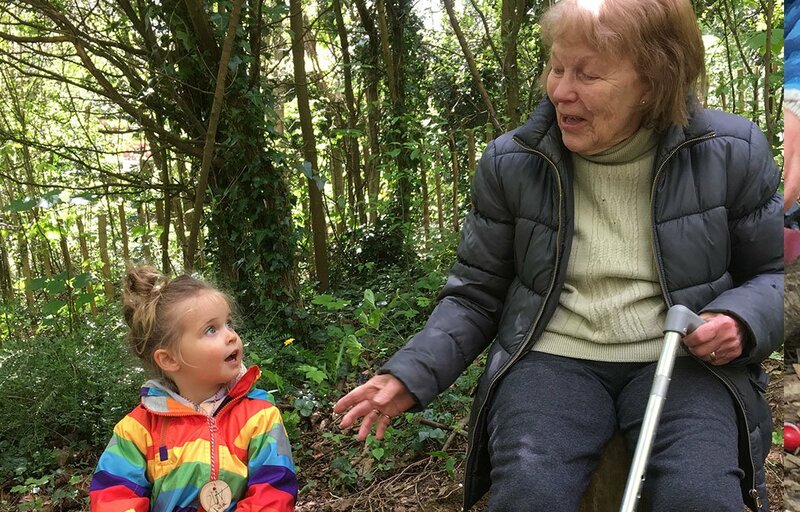 They’ve developed Spring Into Sound, a range of activities which promote curiosity and bring people together amongst a natural environment. It bases itself around music creation, always a powerful tool to bring people together. “We felt, that in this culture, people have this barrier to viewing themselves as musical,” Emily Robertson, the project’s co-founder, tells me. “What we do is bring everyone down to the same foundation. You’re not playing a guitar or singing, you’re literally just playing rhythms on whatever you can find. 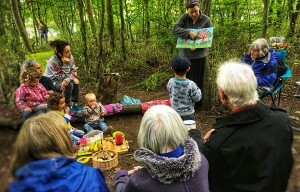 It’s an amazing leveller.” By creating a compelling and slightly unusual set of experiences, they’re helping people to forge communities, as well as reap the benefits of being out in nature. There are innumerable problems with our depictions and perceptions of older people. One Spring Into Sound participant was overwhelmed that she was filmed during the project. “For older women, because you’re no longer sexually attractive or child-bearing, you’re a bit of a write-off.” For older men, it’s somehow considered a risk for them to spend time with non-familial youngsters. Across the board, this generation are viewed as redundant, irrelevant and closed to new experiences. The labels and barriers also extend to concepts of parenting. Modern ideals of domestic bliss are far from reality. Young parents involved in the project benefitted from developing relationships with substitute parental figures. Their children were able to enjoy free-flowing outdoor activities, explore, experiment and develop new social skills. What Unite The Beat realised is that not any single part of a community is more isolated than another. Widespread disconnect in society, where we live far from our immediate family and spend increasing time in our own houses, needs to be properly addressed. website, it acts as a worthy showcase for their work.